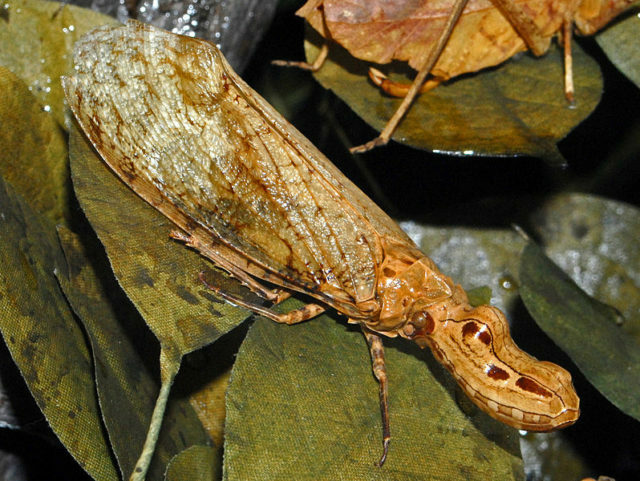 This week’s Mystery Creature was a funny looking insect, but despite its ominous appearance it is actually a harmless plant hopper, a Fulgora laternaria, commonly called a peanut head bug or an alligator bug due to the unusual appearance of its very large head. A native of central and south America, the adult bug is approximately eight to ten cm in length. Despite some unusual stories and myths about this insect and its dangerous bite, it is actually a harmless plant eating bug, sucking nectar or resin through it’s straw like mouth, not exactly a menacing threat. The peanut head bug has a number of unusual defenses that it uses to prevent itself from being eaten, firstly, that unusual head is thought to resemble the head of a lizard, to scare away potential predators. 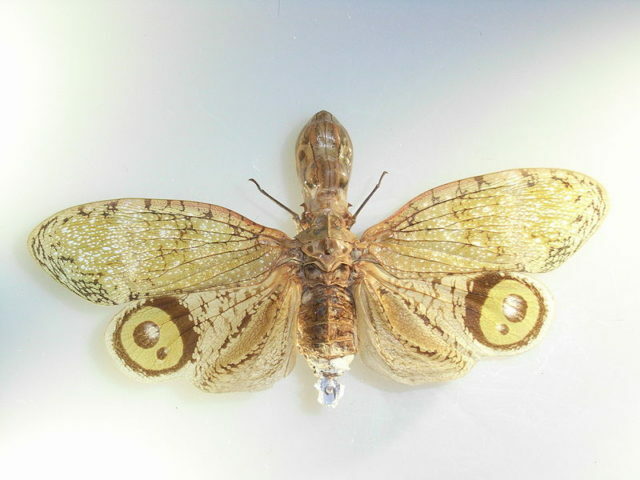 If that doesn’t work the bug opens up it’s wings to reveal two large, fake, eye patterns on it’s hind wings. And if that doesn’t work it releases it’s last line of defense… a toxic, skunk like odour!